SleepMonsters Adventure Racing Reports - The Raid 100 - The Raid 100 - An XPD Rogaine-Style Adventure Race! The Raid 100 - An XPD Rogaine-Style Adventure Race! The Raid 100 is finally here After the culmination of 18 months of intense planning, the team from Raid Adventures will unveil the course on what could be a world first: an expedition-length, rogaine-format adventure race. The Rogue Raid 100 will see teams navigate through the traditional adventure racing disciplines of trekking, mountain biking and kayaking. 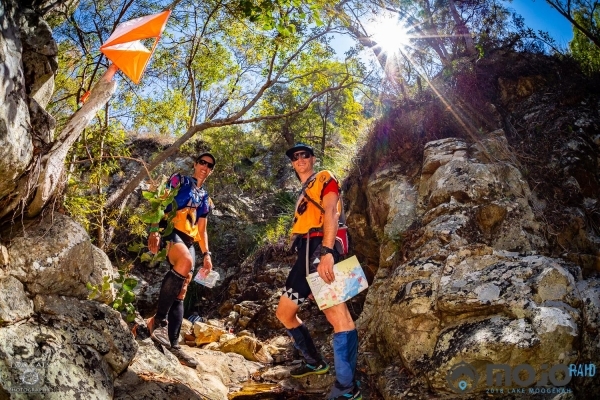 However, unlike a traditional linear adventure race, every check point in the Raid 100 is optional and assigned a score value. Teams have 100 hours to collect as many of the 100 check points as possible chasing the highest score and line honours. At its core, the Raid100 will still be a journey through the spectacular back country of the Queensland and New South Wales border of Australia. Teams will depart buses from race HQ on the Gold Coast and race back to home over 100 hours. The rogaine format makes for a very social format of racing as teams are constantly crossing paths out on the course and where the race leaders can often be chasing the back of the pack. Teams on the hunt for a podium place will need to push for the full 100 hours and not take their foot of the pedal as they never know where they stand on the leader board. All told, the course extends anywhere over 420km to 667km. With a focus on technical navigation, a diverse range of terrain covered and 100 check points up for grabs, teams are going to be kept on their toes with a good race strategy paying even more dividends then out-right speed and power. A total of 130 competitors will set off on Tuesday 23 April from an as yet undisclosed location.